United (E.A) Warehouses Ltd is one of the leading providers of integrated logistic solutions to the Tea, General and Bulk Cargo Industry in Kenya. We offer logistic solutions for Sea, Air and Land Freight at our centers in Mombasa, Nairobi, Malaba and Kampala. We are experienced in all aspects of Import, Export, Transit Cargo Documentation, Custom Clearance and Warehousing. Our success, which has developed over the years, is based on a strong commitment to our customers. We are experienced in all aspects of Import, Export, Transit Cargo Documentation, Custom Clearance and Warehousing. We offer logistic solutions for Sea, Air and Land Freight at our centres in Mombasa, Nairobi, Malaba and Kampala. Integrated transport and logistics solutions to tea and general cargo industry in East Africa. For further information or assistance, please contact us or complete a free quotation request form. Relief Cargo Handling in Kenya. For further information or assistance, please contact us or complete a free quotation request form. United (EA) Warehouses Limited (UEAW), is fully committed to keeping to its quality objectives and complying with all the requirements of ISO 9001:2015 as well as applicable statutory and regulatory requirements in the process of providing services to all our valued clientele. UEAW is committed to incorporating excellent performance in all the operations of UEAW from Warehousing, Tea Trading, Clearing & Forwarding and Logistics while building and sustaining a formidable mutual partnership with our customers and members of staff. 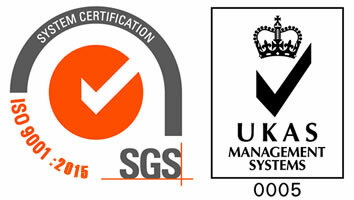 The organization shall continually improve its services, processes and systems with support of quality objectives reviews at planned intervals to ensure continuing relevance to the needs of customers, and effectiveness in service delivery to our clientele in accordance to the requirements of ISO 9001:2015, Quality Management System and legal requirements. The Top Management is committed to communicating and ensuring that this policy is understood, implemented, maintained and reviewed for suitability as and when required for compatibility with the strategic direction of the organization. We have received our AEO! © 2019 United (EA) Warehouses Ltd, All rights reserved.